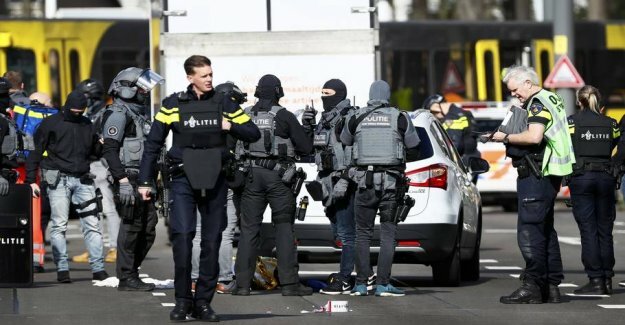 A 37-year-old suspect from a shooting Monday in the Dutch city of Utrecht, where three people were killed, has on Friday pleaded guilty at a court hearing. It informs the public prosecutor. the Man says that he acted alone. His motives are still being investigated. Of the charge stated that the killings be investigated as a terrorist act. The Turkish-born Gökmen Tanis was after the shooting chased in around eight hours by the police before the Monday night managed to arrest him. Three people lost their lives in the shooting, which happened Monday around at 10.45 in a tram on the outskirts of the city centre of Utrecht. The accused man has, according to the prosecution a "radicalised ideology". He is believed to have acted alone. It is still being investigated whether he might have personal motives for the shooting. the Presumption is terrormotiv is, among other things, nurtured by a letter found in the car, which the offender according to police, fled after the shooting. The contents of the letter have not been encouraging. A 19-year-old woman and two men aged 28 and 49 years old were killed. The alleged perpetrator was arrested and driven away in the car. Video: AP.